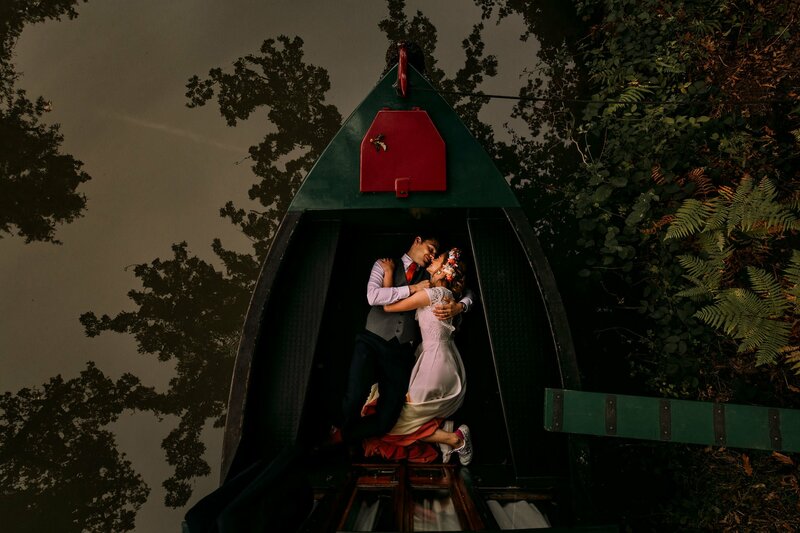 So I had this beautiful old narrow boat on a warm Summers evening available to use on the Basingstoke Canal – right next to their woodland wedding venue. The sun had just set on the canal near Basingstoke and this is where the absolutely gorgeous bride, Natasha, had actually got in to her wedding dress (and check out that amazing wedding dress by ‘Lucy Can’t Dance’! ), and it was tiny inside ..and I’m 6’3″ lol . I just wanted to snuggle up with them in this shot!